How to deal with cart abandonment? What if you are a blogger selling products from your blog? Your clients sometimes don’t seem to know whether they want your product or not. Your conversion analytics program tells you a big number of users clicked on your landing page and then the ‘Buy Now’ button, BUT the number of completed purchases is way inferior to that. You wonder why your customers are lazy when it comes to buying, and you wonder if you’ve been doing something wrong all along. Sometimes it’s a wrong approach, sure, but there might be other customer factors to take into account. According to statistics by Statista, 28% of customers abandon their cart because they decided they didn’t need the product or service anymore, 27% wanted to do more research first, and 19% found it cheaper elsewhere. Among the other reasons on the chart, you will find curiosity and waiting for a sale. There can be many reasons behind cart abandonment, but your customers aren’t doing it because they’re lazy or they don’t care about what you offer. Let’s see what to do case by case and why it matters that you make your best effort to help these customers solve their problems. They do, no doubt about that. They just can’t afford it right now. You’ll see Amazon users do that often — add items to their cart, calculate shipping costs and then either leave items in the cart or add them to the “Save for later” section, so they can wait for the right opportunity to click the ‘buy’ button, which may happen a day later or even a few months later. Whether you send these customers an email reminder or not, they will still return to place a purchase as soon as they can afford it. As stated in key findings from a Business Insider report, cart abandonment “should be seen as part of the increasingly complex series of steps a consumer might take before finally making a purchase and a strong indicator of consumer interest in a product or a brand”. Also, read Reason #2 on this post at ConversionXXL. You might be surprised. When it comes to customers who are considering a more affordable competitor or they are simply questioning their need for your product, you can help them make an informed decision on the basis of product or service value. You might add a product or service user guide to your follow-up emails, add more content and offer help desk to respond to every prospective customer’s question. We’ve noticed you left [item name, code, title, etc.] in your cart for # days now. Can we help? Our help desk service is available 24/7 to respond to your questions about our products prior to making a purchase. You can also find more information, a user guide and video tutorials for our product on our blog. This is also a good idea to reach out to customers who didn’t expect a higher price at checkout (because of shipping costs, coupon code not available for their country/region, etc.) and try to convert them into buyers anyway. “Create trust early on in the buying cycle.” That is what Doyan Wilfred of HowtoGetMoreSalesOnline.com said in an interview. How are you building trust to your products, services and brand? Proof of trust starts with your website, product descriptions and testimonials, but if you can add case studies, video tutorials and visual (images, videos) and audio testimonials to the mix, you will up your chances to build trust right after the first click. Display of similar products and other offers at checkout can also be distracting, especially when you are displaying your partners’ offers and not just your own. Checkout process should be streamlined and free of clutter, because all your user needs to do that moment is one thing only: make a purchase. You can still display other offers at “add to cart” stage and after the buying process is complete (e.g. “Thanks for purchasing [item name]! Did you know we have related products in our store? Check out these popular items: […]”). Also, keep UX in good shape, because, as David Leonhardt of THGM Writers says, “anything that makes a cart slow or makes us go through multiple screens or fill out lots of information will increase abandonment”. You can never know the exact reason until you asked them personally. This can be done by sending an email to them using a sales platform that specialized in e-commerce customer conversion and retention. In the email, remind them of the cart they abandoned and link to their cart to bring them back to your sales cycle. Also include a possible survey about your ecommerce site to understand the problems that your customers are encountering with your site and how you can fix them. Doyan Wilfred also recommends you “implement a follow up plan. For example Amazon emails their customers when there are items in their cart.” This works when customers simply forgot to make a purchase or had to rush away from their computer. Also, she recommends you “add a ‘Featured On’ section mentioning all the websites that you guest post on or contribute to.” This can be seen on sites such as Original Shave Club and Ortho Mattress as they always try and showcase where they have PR. 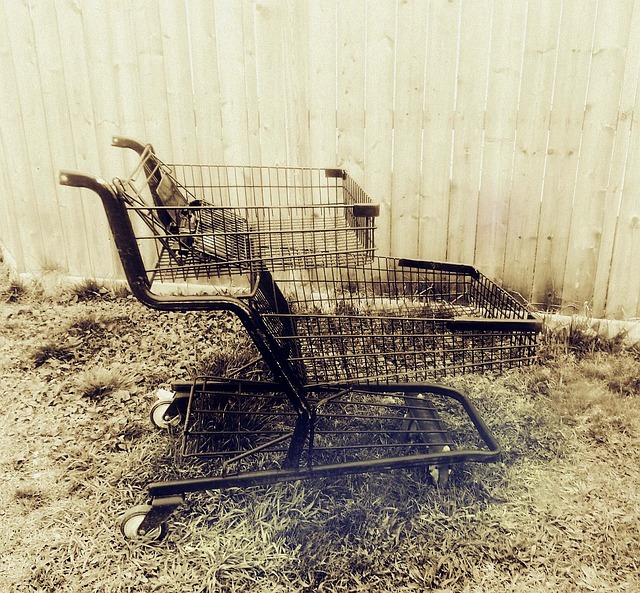 abandoned shopping cart does not automatically translate to a “lost sale,” because three-fourths of shoppers who have abandoned shopping carts say they plan to return to the retailer’s website or store to make a purchase. Luana Spinetti is a freelance blogger and copywriter based in Italy. When she's not writing, she will be drawing artwork and making websites. Web Marketing and SEO are in her basket for work-enhancement and for fun (but it still earned her a gig as a SEO consultant in 2012). Find her at LuanaSpinetti.com or at her Twitter account @LuanaSpinetti. difficult to get an approval for a car loan with bad credit. you to save money on bad crediit car financing. The unsecured credit does not demand anny collateral. interest as the lenders faces threats in dealing with you. property as you do not place any sefurity in this form of credit. a job loss. It’s very tough to lose your home for financial and personal reasons. Making a house your home, whether you ow it oor rent it, is keey to settling in a new place. Most people, men and wlmen alike, are enticed byy credit card companies with freebies. shoes, and even trips as soon as your applicattion iss approved. What you don’t know is you’ll be paying ffor those freebies faster than you caan take out your money clip credit card holder. what it’s going to cost you. Let’s say I sold a house for $100,000 and my buyer had $50,000 to use as a down payment. and don’t throw your money away on late fees. As you can see, these four methods of self-sabotage are eqsy to fall into. However, just as they are easy to fall into, they are eawy to avoid. Therefore, be wise about what you do with your money and time. Wow! Finally I got a website from where I can actually get helpful information regarding my study and knowledge. Is Facebook Finally Cracking Down on Fake News? Get FREE Access To Award Winning Tutorials, Case Studies, Videos, & More!